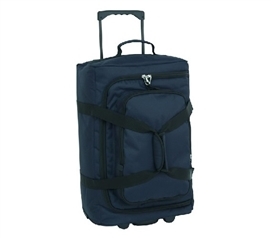 Here you will find DormCo's selection of Luggage, Totes, and Cargo bags. Need a suitcase? Look no further than our FL-J Suitcase Trunk! This dorm essential is the best of both worlds - similar to a trunk in style and durability, yet approved as checked in luggage with the TSA, it's a durable option for transporting your dorm essentials to college and for use as dorm room storage. In this section you will also find padlocks for dorm security, college duffel bags, and more college supplies to make moving in and out of college easy! Avoid overweight baggage fees with our Digital Luggage Scale! Make moving in and out of college more convenient by having a multi-purpose dorm trunk like our Micro Monster Bag Trunk in Midnight Blue in your college supplies. Make moving into college easier with The Easy Mover (Wheeled Hand Cart) that will help you pull boxes and other dorm essentials into your dorm room. 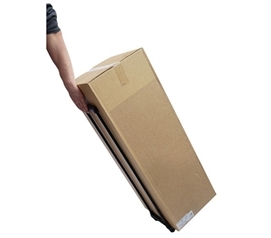 Make moving in and out of college easier by hooking our Strap-A-Handle College Carrier around your boxes! Visit friends and family on the weekend with a trendy dorm bag like our Fashion Duffel Bag - Quatrefoil Turquoise. 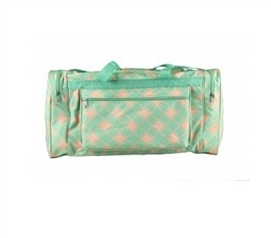 Visit your family with your clothes and other essentials stored away in our Quatrefoil Fashion Duffel Bag - Pink. 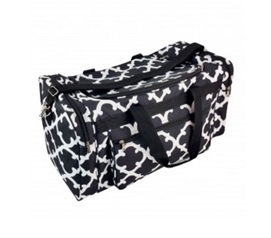 Visit friends and family on the weekend and keep your clothes organized with our Quatrefoil Fashion Duffel Bag - Black. Make a visit to the college gym, pool, or a visit home more convenient by keeping your clothes in our Quatrefoil Fashion Duffel Bag - Grey Pink. 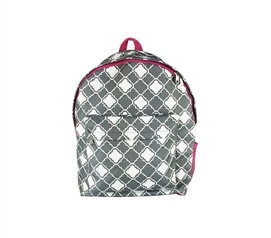 Study at a coffee shop, pack up to visit friends and family, and more with our Quatrefoil Grey and Pink College Backpack. 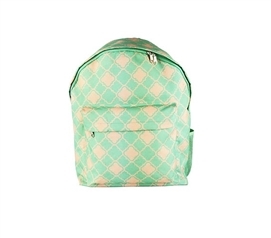 Make sure you have a dorm backpack like our Quatrefoil Turquoise College Backpack in your dorm essentials for study sessions in the college common room or cafe. 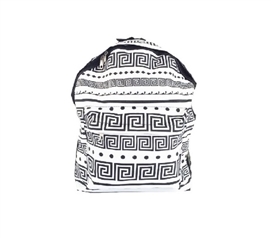 Visit friends and family on the weekend and keep your clothes organized in our Greek Key Black and White College Backpack. 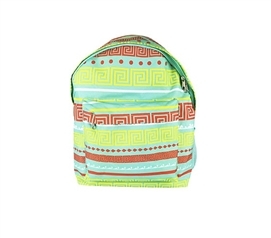 Don't lose your writing utensils or sticky notes on your way to study in the college common room - carry your study accessories in our Greek Key Turquoise College Backpack. 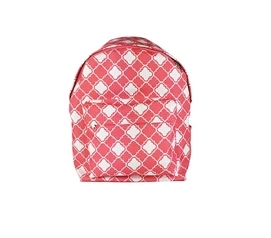 Study at a coffee shop with friends and conveniently carry your study materials in our Quatrefoil Pink College Backpack. 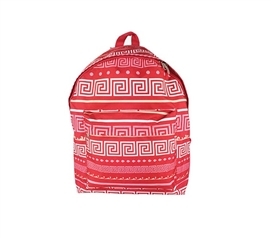 Make carrying your clothes for a weekend trip with friends easier and trendier with our Greek Key Pink College Backpack. Complete your wardrobe with a trendy fashion backpack like our Chevron Turquoise College Backpack. 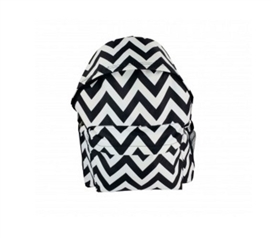 Study in style with our trendy Chevron Black and white College Backpack! A luggage set for college should be one of the first dorm items on your college dorm room shopping list. As you buy your dorm stuff, you can pack it right into your college suitcases. There will be many, many dorm supplies to carry on move-in day at your dorm, and a good set of suitcases for college students will be just what's needed for transport. Suitcases for college kids and cheap luggage will of course be used throughout college. Dorm essentials for college like cheap suitcases are also an absolute must for studying abroad!